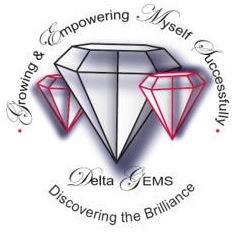 A natural outgrowth and expansion for the continuation of Delta Academy, the Delta GEMS program was created to catch the dreams of African American at-risk, adolescent girls aged 14-18. Delta GEMS provides the framework to actualize those dreams through the performance of specific tasks that develop a “can do” attitude. The Southfield Alumnae Chapter’s GEMS program begins its year in September with a retreat including icebreakers, team building, and goal setting activities. Sessions are held two to three times per month depending upon the planned activities. Workshops include but are not limited to Public Speaking, Career Fairs focusing on STEM careers, Financial Awareness, and Teen Domestic Violence. The young women participate in a wide array of community service projects e.g., packing food baskets for the needy, caroling at an Assisted Living Home, Vista Maria and the chapter’s annual health fair. Throughout the year, time is allotted for sisterhood outings. The yearly program ends in May with the GEMS closing banquet. There is an informational meeting held in April of each year, after which applications are accepted. For additional information, please contact DeltaGems@deltasac.org.